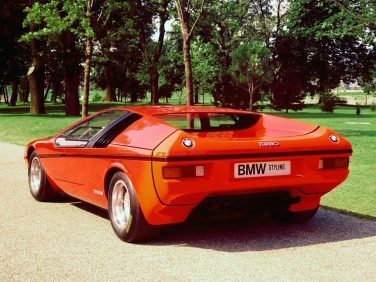 The BMW E25 TURBO prototype was built as a celebration for the 1972 Summer Olympics in Munich. For this occasion, renowned designer Paul Bracq created an innovative design for a BMW automobile, the BMW Turbo. Only 2 Turbos were ever built. 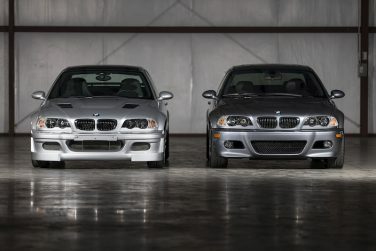 Significant weight savings on the E46 M3 GTR resulted in a total weight of 2,976 lbs (1,350kg) compared to the standard E46 M3, 3,399 lbs (1,542 kg). 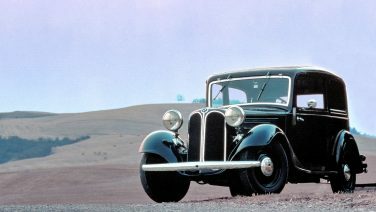 First seen on the 303 model in 1933, nearly every BMW model since wears the iconic kidney grill. 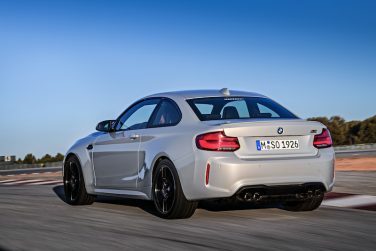 The BMW M2 competition has a full locking differential power of 2,500 Nm (1,844 lbft) which is available within 150 milliseconds. This allows the system to prevent a wheel from spinning in extreme conditions on slippery road surfaces or when the two rear wheels are experiencing significant differences in friction coefficient. The Nurburgring Nordschleife, or Northern Loop, is a 12.93 mile track comprising 73 turns – 33 left and 40 right and almost 1000 feet of elevation change. The abuse the cars take on one single lap is said to equate to 300 miles of everyday use on a normal road. 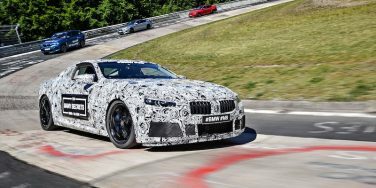 BMW has an in-house simulator that runs thousands of laps on test vehicles to torture test their designs and refine their setups before production. 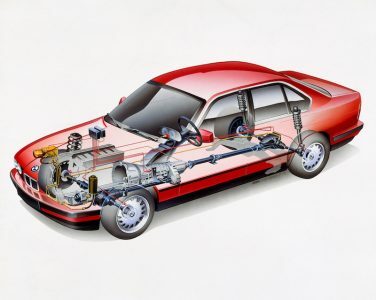 Compared with its E34 predecessor, the E39 wheelbase grew by 68 mm (2.7 in) and overall length by 55 mm (2.2 in). New on the 5th generation E9X 3 series, by means of Shift Point Display, an arrow symbol which lights up in the instrument panel and indicates the optimum gear,the driver is shown the ideal moment to change gear from the point of view of fuel economy. 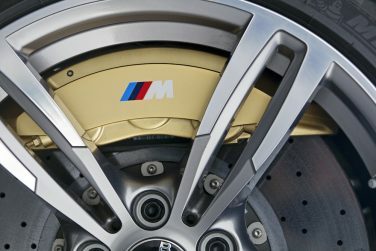 The M Carbon Ceramic brakes can reach up to 1,000 deg C (1,832 deg F) on the race track. This is the same temperature as fresh lava flowing from a volcano. Every day use the temperatures rarely exceed 500 deg C (932 deg F). 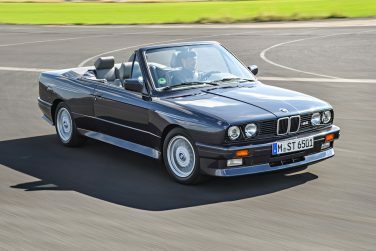 The E30 M3 cabriolet was the first E30 model to have an electrically operated soft top; the non M3 E30 cabriolets were manual top only. 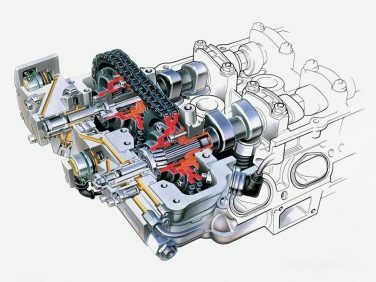 The hydraulic system uses standard ATF (Automatic Transmission Fluid). The M2 Competition uses the same CFRP (Carbon Fiber Reinforced Plastic) strut brace found on the BMW M3 / M4. This one-piece brace made from extremely light, yet high-strength, carbon fiber weighs in at just 3.3 lbs. 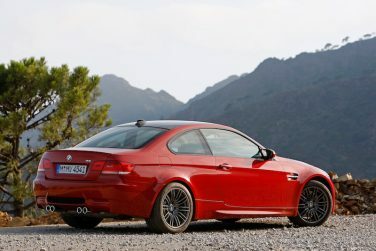 A grand total of 57,627 E9X M3 models were sold world wide. 9,674 Sedans, 40,092 Coupes and 7,861 convertibles. 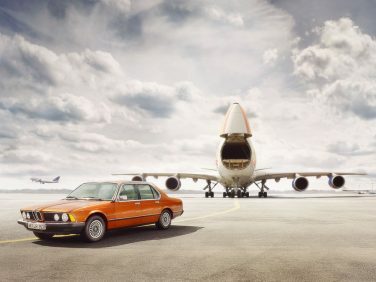 BMW claims the E23 7 series structural steel is able to be submerged in salt water for up to 10 days without compromising structural integrity, a testament to its strength, rust protection and longevity. 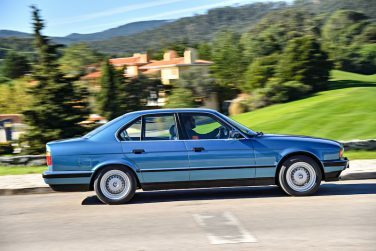 The E32 7 series 3.0 V8 smashed the world requirements for carbon monoxide emissions at the time, even some of the most strict standards as seen in California it beats by more than 75%. In the VANOS system, oil is used not only for lubrication purposes but also as a hydraulic fluid for actuation of the cam timing. In tests, BMW states the laser-powered headlamps cast a light nearly a half-mile down the road. Traditional systems are only capable of half that. This technology will greatly benefit rural drivers. The fourth generation x5 is the first BMW X model to offer an optional Off-Road package. Two-axle air suspension, under guard at the front and rear, plus specific displays in the instrument cluster and Control Display. Choice of four driving modes available at the touch of a button. 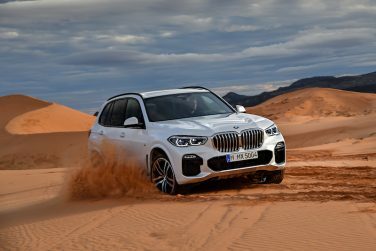 Ride height and the responses of BMW xDrive, DSC, the transmission and the accelerator are adjusted to give an optimum set-up for driving on sand, rock, gravel or snow. 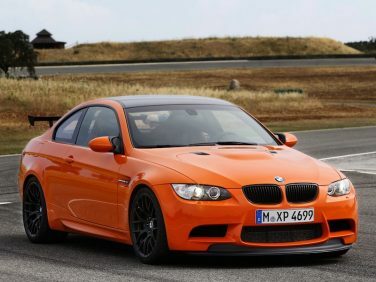 The BMW E92 M3 GTS used a 4.4 liter version of the standard 4.0 liter S65 found in the base models. The bore remained the same at 92mm but stroke was increased to 82mm. 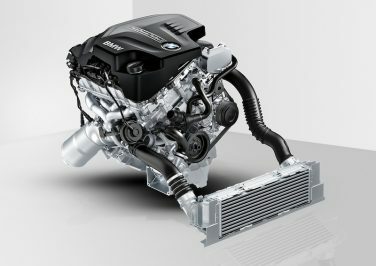 Power increased to 444hp (from 414hp) with a maximum torque of 325lbft (from 295lbft). 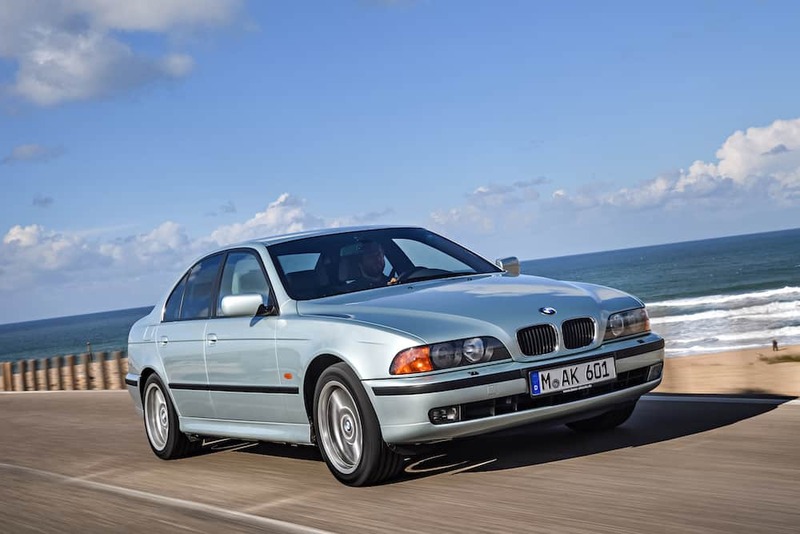 Only 3,203 examples of the E34 540i 6spd were produced, offered in both the sedan and touring models. 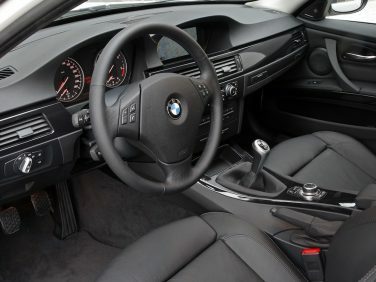 The M1 and M2 buttons on many M model steering wheels provide direct access to the range of driving modes. Drivers can save their own personal configurations chosen from the settings for stability control, engine characteristics and steering. 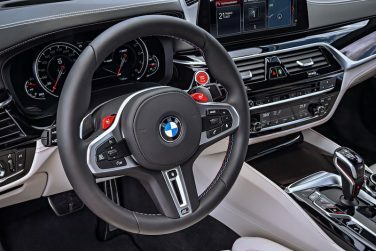 The M1 and M2 steering wheel buttons are preprogrammed with a Comfort and a Sport program as standard and drivers can return to these settings at any time. 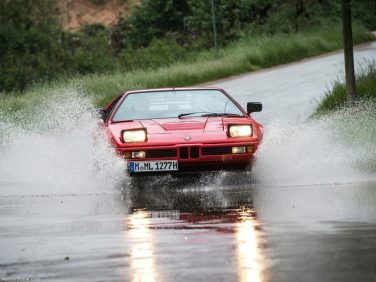 Production of the BMW M1 ran from 1978 to 1981, a rumored 450 - 456 built. Two new colors have been added to the range of paints available for the BMW M2 Competition. 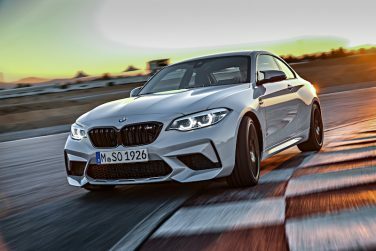 The metallic Sunset Orange color had already featured on other BMW M Performance Models, but this marks the debut for the exclusive new metallic Hockenheim Silver paint. 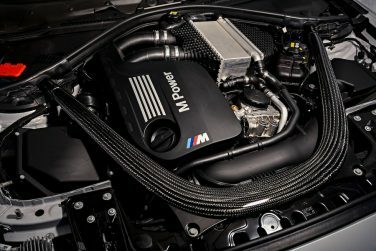 The N20 motor is BMW's first use of the Electric Arc Wire Spraying process to coat the aluminum cylinder walls with iron. High voltage is used to melt an iron wire at 3000 deg C (5432 deg F), the molten iron is sprayed onto the cylinder walls via compressed air. The liquid iron mechanically bonds to the aluminum and solidify to create a strong cylinder wall coating. 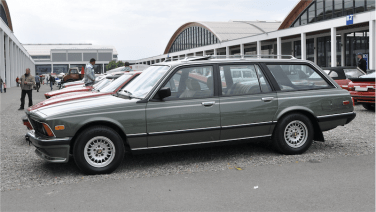 The Firma Euler E23 touring does not feature the signature BMW Hofmeister Kink design, making it look less like a BMW and more like an American Station wagon. 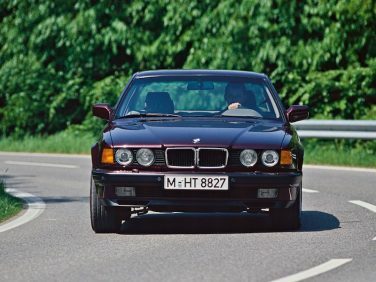 The E34 525iX differential would normally divide 36% torque to the front axle and 64% to the rear axle, but could adjust the ratio according to driving conditions in case wheels of one of the axles started to slip. The BMW E93 M3 convertible weighs 441lbs more than the coupe version. This was mostly due to this being the first model M3 to be offered with a folding hard top in place of the fabric tops of the past. 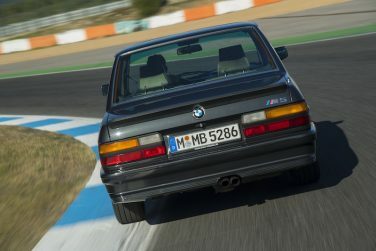 More BMW E28 M5s were sold in North America than in Germany, North American sales also accounted for more than half all E28 M5 total sales world wide. 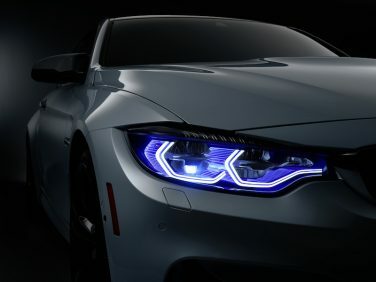 BMW Laserlight technology is about 30 percent more efficient (than LED), and since the lights can create bright light in a smaller housing, Laserlight enables designers to reduce the size of the housing and optimize the design for aerodynamics. 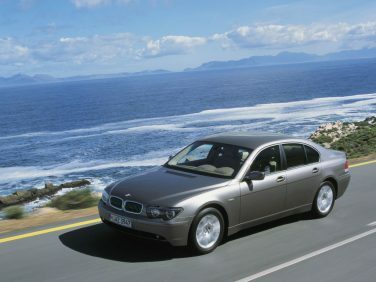 The BMW E65 7 series was produced from 2001 to 2008 (LCI: 2005 to 2008). 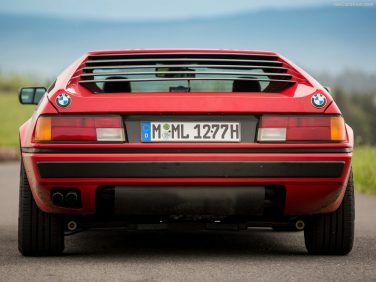 The BMW M1 body is built around square steel tubing which incorporates tubular rollover structure. 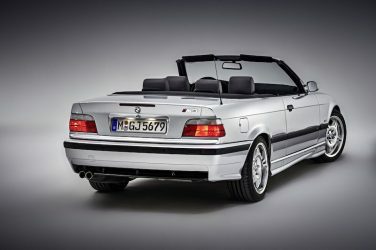 The convertible version of the E36 M3 was introduced in spring of 1994. 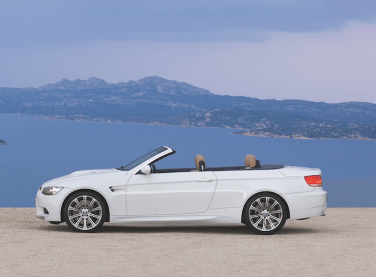 This was the first time BMW adopted the “convertible” name as the world wide standard over the “cabriolet” name. 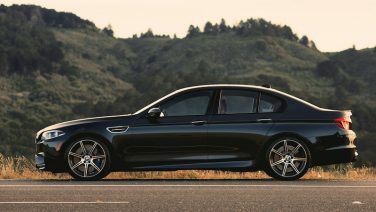 The BMW F10 M5 competition package Revised engine management with different boost mapping, yielding 15 additional horsepower (for a total of 575hp), Quicker steering rack (by 10 percent) with revised Servotronic software and sport exhaust with black chrome tips.